Death certificates are available for people who died in Lorain County. We cannot issue death certificates for people who died in another Ohio county. Certified copies of death certificates cost $25 each. Uncertified copies are not available. We also provide birth certificates. The deceased’s spouse or lineal descendent, such as a child or grandchild. The deceased’s executor, attorney, or legal agent. A representative of an investigative government agency. A funeral director or agent responsible for disposition of the body acting on behalf of the deceased’s family. An accredited member of the media. *Became effective October 15, 2015. 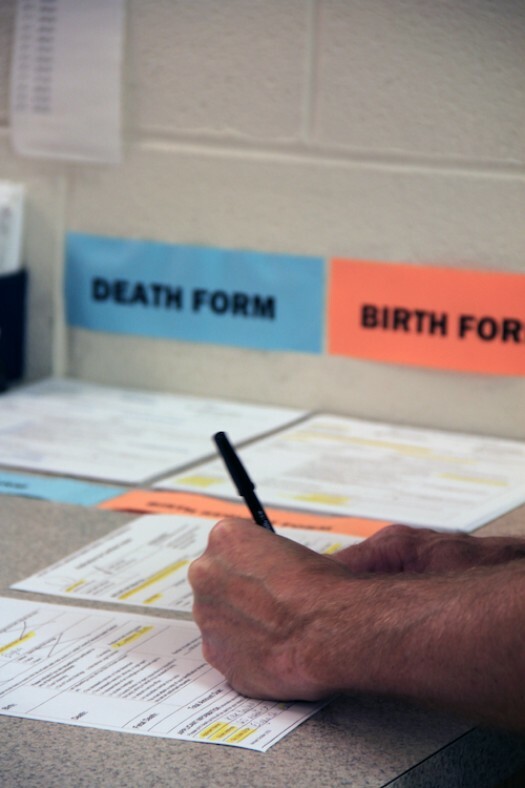 Get a death certificate -- 3 ways to choose. LCPH accepts cash, check, money order, Discover, MasterCard, and Visa. 9880 S. Murray Ridge Rd. VitalCheck charges an additional fee. All major credit cards are accepted.